VICKSBURG, Miss. — War is never easy, but residents of this busy river town perched on the bluffs of the Mississippi River were especially miserable when on July 4, 1863, the 47-day siege ordered by Maj. Gen. Ulysses S. Grant ended with the Confederate Army’s surrender. Cut off from supplies and shell-shocked by a steady barrage of Union shots and shell, both soldiers and civilians had reached their limit. Hundreds were living in caves dug into the hillsides to escape artillery fire. Many were reduced to eating dogs, mules, horses, rats and — as a last resort — even shoe leather to survive. With ammunition dwindling, rifle-muskets and cannons could be fired only when absolutely necessary. Federal troops might have been better fed, but they were nearly as exhausted. Vicksburg’s varying elevations, coupled with the city’s many fortifications, made the approaching Union forces sitting ducks for Confederate rifle fire and crude hand grenades. For protection, they had to dig more than 60,000 feet of deep, zigzagging trenches called “saps” to advance on the enemy. In the end, Gen. Grant’s “outcamping” of the enemy proved a brilliant, if costly, move: some 10,000 Union and 9,000 Confederate forces died during the months-long campaign and siege. The hard-won Southern defeat — on the day after Union forces claimed victory at Gettysburg — gave the North control of the mighty Mississippi, a main artery for supplies, arms and troops for the South. The Confederacy, pretty effectively, was split in half. This year marks the 150th anniversary of the Civil War, and many history buffs are marking the occasion with trips to the battlefields where the fighting took place. Chief among them is Vicksburg National Military Park (www.nps.gov/vick/index.htm), a sprawling and at times mind-boggling tribute to American courage, heroism and devotion to duty. It’s got the expected cannons, of course, along with reconstructed forts and trenches. 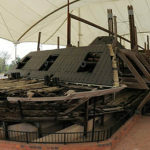 Also on site is the country’s largest National Military Cemetery of Union dead (about 17,000 graves) and the USS Cairo Museum and gunboat. 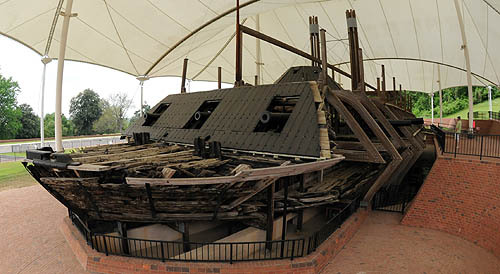 This iron-clad “city class” ship with 13 big guns sank in the Yazoo River just north of the city during the siege. But the mud and silt ended up preserving it. Pulled from its watery grave in 1964, it was eventually restored with many of the objects found on board, and put on display here with an artifact-filled museum. What really takes your breath away, though, are the dizzying number of monuments. One of the prettiest, and largest, is a gracious 62-foot granite memorial modeled after the Roman Pantheon. Dedicated in 1906, it holds 60 bronze tablets listing the names of the 36,325 Illinois soldiers who fought at Vicksburg. But my eyes also were drawn to a bronze statue of Confederate Brig. 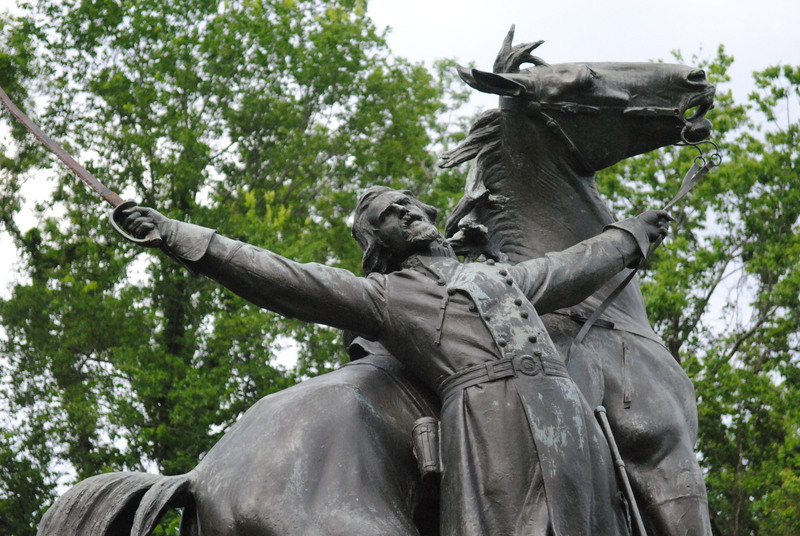 Gen. Lloyd Tilghman, captured in dramatic fashion by sculptor F. William Sievers with his arms outstretched in front of his horse as he was struck by a shell fragment. The one-way road encircling the battlefield stretches 16 miles. So it’s a good idea to start your tour at the visitors’ center, where a 20-minute film on the campaign plays every half hour. An even better idea is to read up — a lot — on the siege, and the two major Union assaults that preceded it; without detailed battle maps and an understanding of siege warfare (do you know what a redan is? Or an abatis?) you might spend a lot of time scratching your head in frustration. Highly recommended is TravelBrains’ “Vicksburg Expedition Guide,” which comes with an illustrated guidebook, a DVD-ROM that includes interactive battle maps and a self-guided audio tour ($29.95, www.travelbrains.com). It even tests your knowledge with a quiz. That’s how I learned just one battlefield structure survived the war: the clapboard “White House” a few hundred feet to the right of the Illinois memorial. Built in the 1830s and occupied by Union sympathizers, the 45th Illinois Infantry used the Shirley House as its headquarters, digging shanties into the hillside to protect themselves from Confederate gunners. Federal forces also used the house, rededicated last month, as a hospital for soldiers stricken with smallpox. And if you want to know about daily life during the campaign? Tens of thousands of artifacts in the Old Court House Museum in downtown Vicksburg (www.oldcourthouse.org) stitch together a tale of survival and determination. Here, for instance, is where you’ll see giant mortar shells, guns and battle flags that were never surrendered; homemade Confederate uniforms and antebellum clothing; an executive chair Gen. Grant sat in during Vicksburg’s occupation; and the sash and necktie Jefferson Davis wore at his inauguration. There are also objects that speak to the citizenry’s resourcefulness, such an original copy of The Daily Citizen from July 2, 1863, which was printed on the back of wallpaper because newsprint had run out. Visitors also can tour the second-floor courtroom where politicians made speeches and lawyers argued cases until 1939. One of the most famous was in 1874, when Davis — indicted for treason and imprisoned for two years after the war ended — tried to win back Brierfield, the plantation home that had fallen out of his hands. 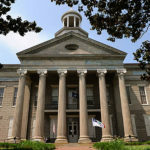 Built by slave labor in 1858, the landmark stucco courthouse — hit 23 times with cannon balls during the war — is worth a look. Davis kicked off his political career with a speech on its grounds in 1843 (look for a marker near the front entrance); Gen. Grant addressed his troops from its gracious portico after the city fell in 1863. Speaking of which, the Southern surrender was so stinging for so many that the city refused to celebrate Independence Day until 1945. Today, Vicksburg is eager to tell its story, and the battlefield is a perfect place to start. If you go: Vicksburg, Miss. Getting there: Unless you’re in major road trip mode — Vicksburg is 1,015 miles from Pittsburgh, or a 16-hour drive — you’ll want to fly into Jackson, Miss., and rent a car for the hour-long drive into the city. With flexible travel dates, a round-trip ticket on Southwest, Delta or US Airways costs as little as $250, but it won’t be a short flight: nothing is direct. Where to sleep: Are you looking for a romantic getaway, or a family hotel with an outdoor pool so the kids can cool off after a day at the battlefield? Vicksburg has plenty of options. 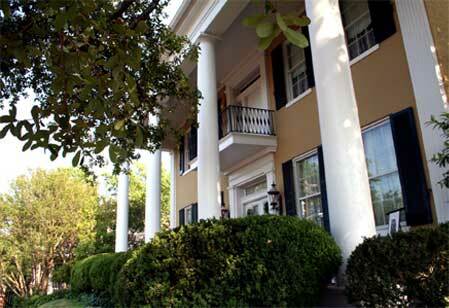 On the top end are opulent bed and breakfast inns such as the antebellum Anchuca Historic Mansion & Inn in the heart of the historic district (www.anchuca.com), where rooms start at $125 in the carriage house and $210 for a suite in the main house. At the other are chain motels such as Econo Lodge and America’s Best Inn, which are considerably cheaper. Vicksburg also has several casino hotels, including the new DiamondJacks, and campgrounds. Where to dine: Many tourists want to eat barbecue (Goldie’s Trail on South Frontage Road is a local fave) but we opted for the fried dill pickles and shrimp po’ boys at Rusty’s Riverfront Grill (901 Washington St.), a casual eatery on the main drag. Another must is the fried chicken and Mississippi catfish at the landmark Walnut Hills. It was so good I tried, unsuccessfully, to get the chef to tell me his secret. (Dang!) Off the beaten path, decidedly downscale but still worth a visit is Solly’s Hot Tamales (1921 Washington St., dine in or carry out). It’s been a culinary tradition since 1939. What to do: The city’s main attraction is the 1,800-acre Vicksburg National Military Park, America’s most monumented national military park with more than 1,340 statues and other structures. 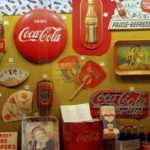 But history also abounds downtown on Washington Street at the Biedenharn Coca-Cola Museum (first bottled here in 1894); the charmingly old-fashioned Corner Drug Store (an interesting collection apothecary artifacts); and Yesterday’s Children Antique Doll and Toy Museum. 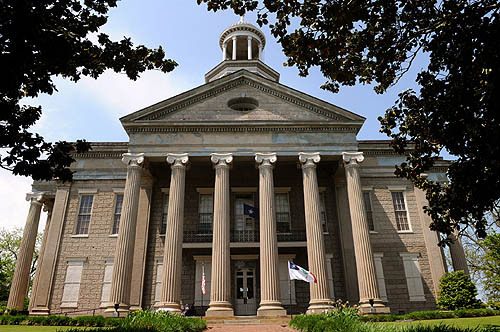 Also not to be missed: The thousands of Civil War artifacts on display at the Old Court House Museum (1008 Cherry St.), including never-surrendered Confederate battle flags and the necktie worn by Jefferson Davis at his 1861 inauguration. 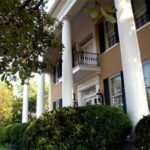 History buffs also can tour Vicksburg’s many lovely antebellum homes, some of which have been turned into bed and breakfast inns, as well as several historic churches. And don’t forget shopping in the historic district or gaming at the city’s dockside casinos. More info: www.visitvicksburg.com; 1-800-221-3536. For a calendar of Mississippi’s sesquicentennial events, visit www.mscivilwar150.com.